What does a fifteenth-century Hindu princess have in common with a teacher who lives just outside Philadelphia? What thread could possibly connect a modern British hymnist with the first poet history can remember? The easy answer is that their work is all featured in this program. They also happen to be women, each with a timeless facility to harness the power of language. But the more interesting answer—and perhaps the most telling—is that they’re all troublemakers, in the best sense of the word. Along with Emily Brontë, whose verses provide the backbone for the second half of the evening, these are women who thunder and keep thundering, whose souls enjoy every second of their changing form, who laugh at the rules, and who sing with their sisters. These are their words. These are hopeful women who have refused to accept the constraints of their varying epochs. Their offerings are open-hearted and ferocious. They demand to be heard. As we listen, we’ll be treated to a collection of texts that spans the width of the planet and nearly all of human history. Over four thousand years separate their creation. But it would be hard to miss the fact that they’ve been woven into the same evolving tapestry, one that celebrates the vitality and determination it takes to change people’s minds. National Concerts presents the U.S. premiere of Estonian composer and Composer-in-Residence, Tõnu Kõrvits’ Moorland Elegies. 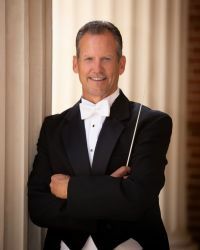 Dr. Gregory Fuller leads the forces from the University of Southern Mississippi, Southern Chorale and Symphony Orchestra, in this exciting performance. Opening the concert, Brandon Williams will lead The Voorhees Choir from Rutgers University.